A minivan or hatchback may have a place in your driveway, but if you’re a two-car or more family you may want to consider making that second or third car a truck. Pickup trucks can meet your everyday driving needs, yet are mighty handy and near perfect for just about any other task. There are countless situations where that pickup bed will come in handy. Simply put some things you can’t transport in a car. Whether you’re making a run to Home Depot or Lowe’s for mulch or lumber, getting gas for the lawn mower, propane for the grill, or towing the ATV out to the country for a spin. It’s Comfortable. Yes, That’s a Real Reason! First, if it’s the comfort and room of a car that’s been holding you back, then there is good news. You’ll be amazed by the comfortable, quiet ride of today’s trucks. Gone are the days of sitting on a slab and riding in a bouncing box on wheels. Trucks manufactured over the past decade offer a smooth ride equal to that of a sedan. Four doors are all but standard now on pickups, with plenty of room in the back to stretch your legs. There’s lots of headroom, too, and the high drive gives a commanding view of the road ahead. If you don’t feel comfortable simply sitting in your vehicle, you’re not going to feel safe on the road because an uncomfortable drive may as well be considered a distracted driver. You will find most, if not all pickup trucks, have the same amenities and ‘bells and whistles’ you’ve known in your car. That includes everything from keyless entry, reclining seats, auto windows and locks, sound system, AC or heated seats. Pickup trucks are functional and versatile. As mentioned, load the truck bed with anything from tools to furniture to camping equipment, and go. Toss lawn chairs in the back of the pickup and ride out to the desert to watch the stars from the comfort of a truck bed. Most pickup trucks have either six-cylinder or eight cylinder engines, which give them the power to haul whatever you need, be it a camper, boat or trailer. Most pickups can tow up to 12,000 pounds. Larger models have a towing capacity of up to 22,500 pounds. There are miles of mapped two-track roads in the United States, and getting to trailheads is often more difficult than finishing said trail. If you own a truck, the off-road traction of a locking four-wheel-drive system will ensure that you keep moving rather than getting and stuck waiting for help or having to abandon your adventure. Another bonus: a truck’s ground clearance helps reduce the cringe-inducing frame impacts when you are off-roading. Fuel efficiency, or lack thereof, has made more than a few potential buyers reluctant to purchase a pickup. More good news—gas mileage has improved much over the years. Mileage is better than you might expect. Today’s pickups have lighter bodies. Under certain driving conditions, engines can incorporate fuel-efficient technology. Active fuel management sensors can regulate fuel usage, and some vehicles deactivate cylinders whenever possible so trucks conserve fuel. Mileage on a six-cylinder model can reach 26 miles-per-gallon on the highway. Even better news, trucks with diesel engines are more fuel-efficient than similar-sized gasoline engines. 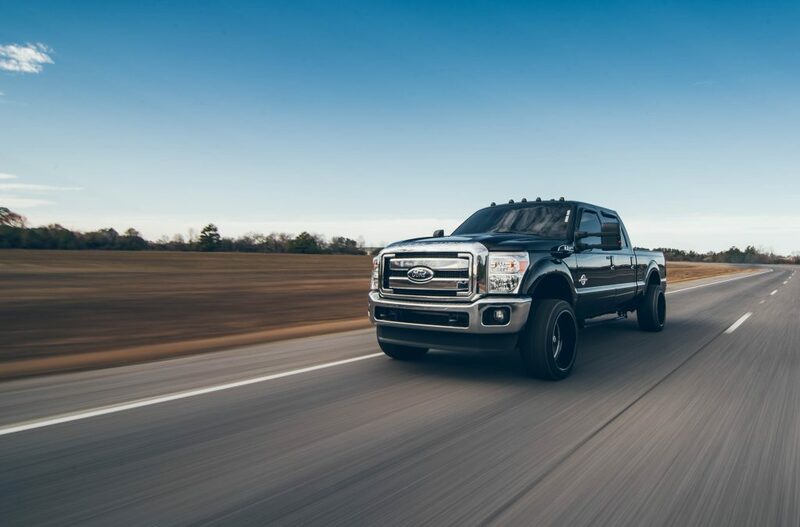 Diesel fuel contains approximately 10% to 15% more energy than regular gasoline, which means your truck will go about 20% to 35% farther per gallon. Finally, quality used pickup trucks are affordable. We are happy to work with you and make it happen. Our ‘buy here, pay here’ payment plans can be great for those who really need a good truck even when your credit is not so great or if you don’t have much money for a down payment. If you’re interested in learning about what Auto Action has to offer, contact one of our expert used car dealers in Arizona or apply now to see if you qualify for financing.